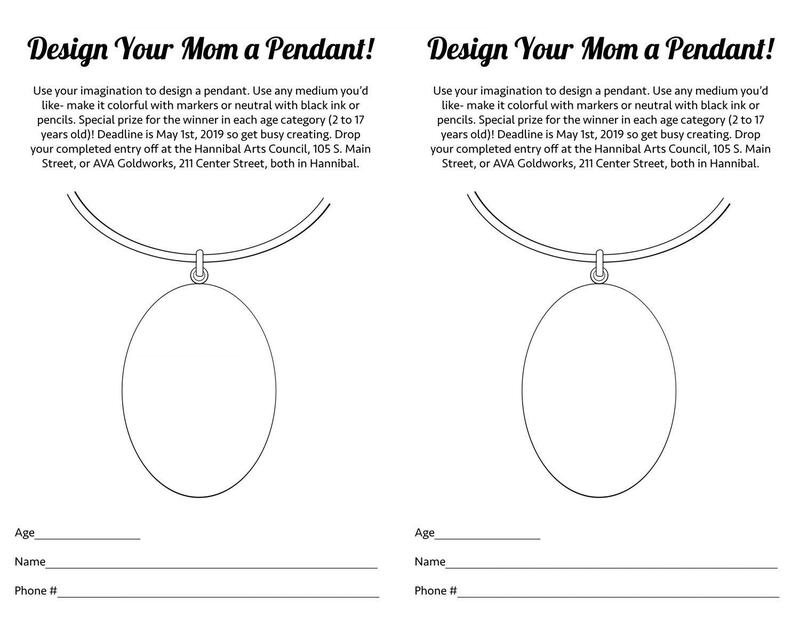 AVA Goldworks and the Hannibal Arts Council have partnered to sponsor a Mother’s Day jewelry design contest for youth ages 2 to 17. The winner in each of four age divisions will receive a custom-made sterling silver pendant with a one-of-a-kind design created by AVA Goldworks for their mom! Each pendant will be able before Mother’s Day. The deadline for turning in contest sheets is May 1 and they must be returned to AVA Goldworks (211 Center St) or the Hannibal Arts Council (105 South Main Street).